Dartmouth has placed the three professors on paid leave and has restricted their access to campus property. 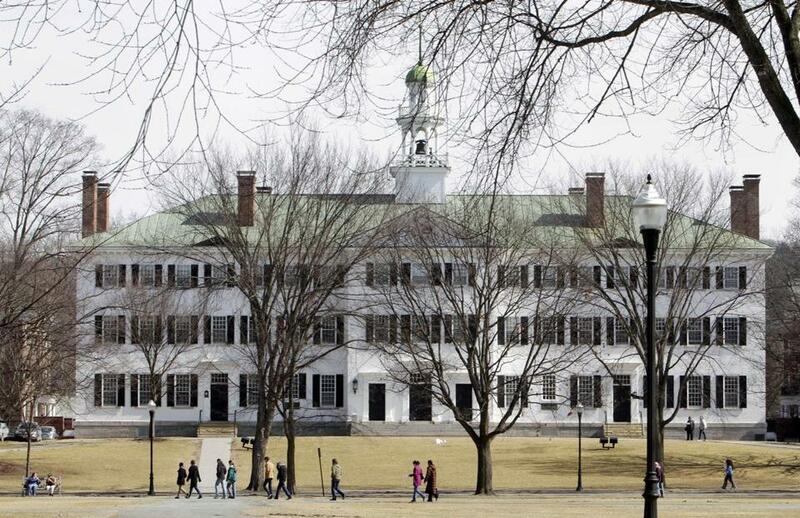 Dartmouth College has been investigating multiple, separate allegations of sexual misconduct against three psychology professors who have been barred from campus and are now at the center of a criminal investigation. They all worked in the same department and did research together, but the allegations against each are separate, said Diana Lawrence, a spokeswoman for the college. On Wednesday, one of the professors, Todd Heatherton, tried to distance himself from the investigations into his colleagues, Paul Whalen and William Kelley. The investigation of Heatherton is “unrelated to any conduct of professors William Kelley and Paul Whalen,” Julie Moore, a Wellesley attorney, and Steven Gordon, a Concord, N.H., attorney representing Heatherton, said in a written statement. Heatherton has been questioned specifically about an out-of-state incident, his attorneys said. They added that they have no indication the inquiry has expanded beyond that. “He looks forward to a resolution, hopefully, very soon,” the attorneys said. Kelley and Whalen could not be reached for comment on Wednesday. Dartmouth placed Whalen and Kelley on paid leave. Heatherton was already on a long-scheduled sabbatical and away from campus. Earlier this week, New Hampshire state authorities revealed they had launched a criminal investigation into the allegations involving the professors. No charges have been filed, and it is unclear what the complaints against them are. Jane Young, New Hampshire associate attorney general, declined to comment on the scope of the criminal investigation. Still, that three academics — about 10 percent of the tenured faculty in Dartmouth’s Psychological and Brain Sciences Department — are facing inquiries on matters of sexual misconduct raises serious concerns about the environment there, said Kathryn Clancy, an associate professor of anthropology at the University of Illinois Urbana-Champaign who has studied sexual and racial discrimination in the sciences. Claims of sexual misconduct in the sciences are not unusual, Clancy said. While women make up a majority of students on campuses nationwide, senior-level professors tend to be predominantly men, especially in departments that involve science, technology, engineering, and mathematics, she said. That can create a power imbalance between men and women in the department and lead to a workplace where it may be difficult to report and discuss misconduct and discrimination, Clancy said. At Dartmouth’s brain sciences department, 20 of the tenured professors are men, while eight are women, according to its website. Earlier this week, Dartmouth president Philip J. Hanlon stressed that “sexual misconduct and harassment are unacceptable” at the college. Heatherton, Whalen, and Kelley are prominent brain scientists at Dartmouth, drawing in graduate students interested in working on research with them and federal funding to back their work. Heatherton’s research has focused on the failure of self-control and its links to obesity and impulsive sexual behavior. He conducted that study with Kelley. Heatherton has also studied the impact of tobacco and alcohol marketing on adolescents. On Wednesday, Heatherton’s attorneys emphasized that the sexual misconduct allegations did not extend to his scientific research. “The investigation is unrelated to Dr. Heatherton’s scientific work in the Psychological and Brain Sciences Department, and it does not involve his academic research, scholarship, publishing, or teaching,” the attorneys said in a statement.